With CE, you can manage a wide range of documents and other content online. 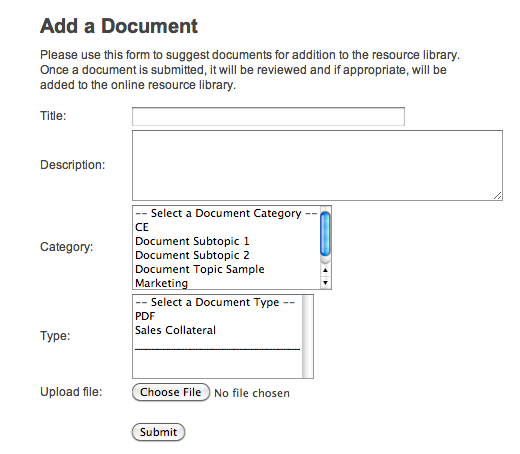 Documents can be categorized using multiple criteria and provided to public or private groups online. When combined with content management and other interactive features, CE allows for the creation of a powerful Knowledge Management system. In addition to actual files, documents can inlcude links to other sites on the web or to offline resources.